The sale of the property, which has occupied recent meetings of the Oconee County Industrial Development Authority, owners of the business park, came up only indirectly at the group’s meeting last month. The Authority did vote to go into executive session for some unspecified reason at the end of its regular February session, and it is possible the sale was discussed at that time. The Authority is scheduled to meet again at 4 p.m. tomorrow (Monday) at the Oconee County Chamber of Commerce offices on Nancy Drive in Watkinsville. The Authority agreed after two sessions closed to the public in December to sell the 38 acres in the eastern part its Gateway Technology Business Park for roughly $760,000 to Alexion Pharma LLC, the parent company of Synageva BioPharma Corp.
Synageva has a pharmaceutical production and research operation on 11 acres adjoining the 38 acres of undeveloped property. Discussion of the sale of the 38 acres and the potential sale of the western portion of the Gateway property dominated the January meeting of the IDA. IDA Chair Rick Waller told the group at that January meeting that the county had not yet received the signed contract from Alexion but he remained optimistic that the deal will go through. Waller said at the January meeting that the original amount the IDA sought for the property was $25,000 per acre but the IDA moved to the lower price when Alexion agreed to purchase all of the property. The Authority held an executive session lasting 1 hour and 40 minutes on Dec. 12 and another lasting 46 minutes on Dec. 14 to reach agreement on the sale. Neither Waller nor anyone else mentioned the pending agreement with Alexion at the Feb. 13 meeting of the IDA. Economic Development Director Charles told me in a conversation in his office on March 2 that he is not expecting an agreement until late summer. Charles has promised to produce a news release and inform me when the deal is complete. While state law requires government authorities to reveal the broad topics to be discussed in executive session, the Authority, at Waller’s urging, went into executive session at the end of the February meeting without stating a purpose. “We’ve got some other items we need to address in executive session,” Waller said, and the motion to go into executive session did not state the purpose. 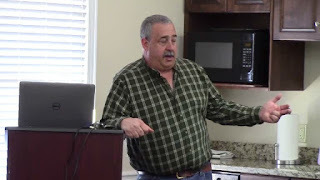 The front half of the February meeting consisted of a presentation by Emil Beshara, county Public Works director, of construction work on Parkway Boulevard Extension, which the county, through the IDA, is building to promote additional commercial growth along the Oconee Connector. Beshara told the Authority, as he repeated a few days later before the regional transportation planning authority, that he expected work on the project to be completed by the end of this month (March). Beshara told the IDA members that the roadway crosses “some fairly challenging terrain,” and much of the discussion was of a large box culvert built to allow the new roadway to cross a creek running through the property. The 10-foot-by-10-foot culvert will allow the unnamed stream to flow to McNutt Creek. The stream drains what Beshara called “a fairly substantial basin,” with the creek starting outside SR Loop 10. “When we get a deluge of water, the creek runs very high and fast,” Beshara said. Though the contract with Alexion did not come up at the February meeting, the process that produced it did. County Attorney Daniel Haygood was asked by Waller to discuss the ways the Authority in the future might deal with land purchase contracts. Haygood said that while there generally is a “more collegial” approach to decision making today than in the past in nonprofit organizations and governmental agencies, that kind of decision-making can create problems. Haygood said companies want nondisclosure agreements signed by everyone involved in the negotiations over land deals such as the one involving the Authority’s sale of land to Alexion. He provided the Authority with four options. The IDA could continue to allow the chair do the negotiations and bring the agreement back to the Authority for final approval, as is the case at present. The second option would be for all 11 Authority members to sign a nondisclosure agreement and be involved in the entire process. The Authority could appoint a smaller committee to deal with real estate transactions, Haygood said, and those members would sign a nondisclosure agreement. The final option identified by Haygood was an ethics ordinance that prohibited nondisclosure by Authority members of things that take place in executive session. Haygood was suspicious that the fourth option would not be acceptable to companies involved in the discussions. Waller said he would do whatever the Authority members agreed to, but he thought more time was needed to reach a decision. The Authority took no action on Haygood’s suggestions. I was not able to attend the February IDA meeting, but Sarah Bell did attend and video recorded the session. The comments by Beshara begin at 1:25 in the video and end at 30:30. Haygood's comments are the final item of the meeting, which, excluding the executive session, ran just less than 55 minutes. OCO: IDA 2 13 17 Complete from Lee Becker on Vimeo. The fact the IDA has a discussion guided by County Attorney Haywood should reveal a lot. 1. IDA appears to have a problem closing an industrial real estate sale. 2. Approach and professionalism within IDA Board is questionable, if Haygood has to provide "options". 3. Circling the wagons to fewer representatives is not the answer. 4. It appears that the relationship with Oconee County government/employees & IDA Board is not on solid ground. Google the tutorial on GA/IDA's to understand the do's and don't (s) of an IDA Board based on GA law. BOC and Chairman have some legislative leeway in this issue. Consideration of assigning those IDA members representing real estate interests under the guise of "non-disclosure agreement" is a ruse. Think secondary sales by those members are as a result of IDA sales by being privy to inside knowledge. Major industrial development companies become nervous of loose lips and bad PR. BOC you have the opportunity to end a culture of confusion with a firm direction for Oconee County. Anonymous @ 2pm - It's one thing to Knee Jerk, but it's another thing to Chicken Little... Because you're claiming the sky is falling! Concerning the Non Disclosure item... I'd say the IDA is discussing the best way to handle sensative info in a responsible manner. As a business owner myself, I can appreciate the IDA wanting to keep their clients' privacy secure. Asking an attorney for his opinion on handling privacy concerns isn't unprofessional; it shows forethought. New board members, new administration, new opportunities... Sounds to me like the IDA board is thinking through their actions so they can do the right thing when companies come to Oconee County. I don't know how you could reach your conclusions regarding unprofessionalism or bad blood between IDA/County, save to say this blog has a tendency to attract Knee Jerkers and Chicken Littles. To Anonymous @ 9:57......Shame on you !!! I actually enjoy this blog. Do you not enjoy reading the emotional ramblings of a few cynical conspiracy theorists ? I must confess, however, that I'm somewhat surprised that I have yet to read that that there has some type of covert contact or collusion between the IDA, the BOC and the Russian Government. I have read this piece three times now and have little understanding what is going on. Whatever it is, it doesn't sound good. Do I detect on desire of some of you to stifle discussion on this most wonderful blog through name calling? This reminds me a bit of national politics. Personally, I greatly appreciate this blog as it keeps me informed of what is happening with little commentary. We really need this information and everyone should be able to comment without being "labelled" as anything. Please commenters, continue to comment. I especially admire those of you who are not "anonymous". I assume your confusion has to do with the Alexion contract rather than the roadway. I am sorry if the story is confusing. Here, in a nutshell, is what is clear. Alexion has not signed the contract. No one has said publicly why this is the case. Waller asked Haygood at the February meeting to explain what options exist for the future in terms of how this type of contract might be negotiated. Haygood said that there was dissatisfaction with the process leading up to the Alexion contract. He said Waller negotiated that contract and then brought it to the full Authority for approval. It seems that the full Authority did not agree with what Waller had negotiated. It took two lengthy closed meetings for the group to agree on the final contract offered to Alexion. The Authority went into executive session once again to discuss something at the end of the February meeting. Though state law requires any body to explain why it is going into executive session, and it can do so for only a limited number of reasons, the Authority didn't mention the reason in the motion or at any point. That was with Haygood at the table. The Authority also went into executive session incorrectly in December by closing the meeting to the public before it voted to close the meeting to the public. Would someone please explain why we need the IDA? The more I know about it, and I have been to many of the meetings, the more ineffectual it seems to be. It has a lot of money through the Post Office rent every month ($9.000+) and from budget money from the County. What, exactly, are we getting for that money? They are a pass-through for the money for Mr. Bishop's road. That is money mis-spent and HIDDEN through the IDA. I doubt that many citizens recognize that fact. So I am willing to learn. Would someone teach me?